Sample Photo: not representative of the coin or grade of coins being sold. In 1800, the obverse design of the half cent was changed to the same design already in use on the silver dollars, which had been in circulation since 1795. It features the image of Liberty with her hair in a ribbon. The word LIBERTY is written above her head and the year below her. The reverse remained unchanged featuring HALF CENT written within a wreath and the fraction, 1/200, below it. The legend UNITED STATES OF AMERICA appears wrapped around the wreath. Two years later in 1802, the wreath on the reverse side was modified to end in two leaves rather than one resulting in two subtypes: the reverse of 1800, and some 1802's, and the reverse of 1802 through 1808. Half cents were not minted in 1801. 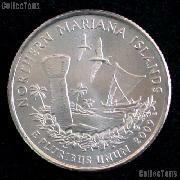 The Draped Bust Half Cent was replaced by the Classic Head Half Cent in 1809.